Enjoy the outdoors. Hardscaping will help you create a space you can use for relaxing or entertaining outside. Hardscapes are structures built to provide long-term solutions to outdoor lifestyle space needs. They can incorporate a walkway or patio, retaining wall, chimney, or fire pit into your outdoor lifestyle space that will create an additional enhancement to your deck or porch. At Outback Deck Inc., we specialize in providing high quality hardscape design and installation. If you want to upgrade your outdoor space, give us a call today at 1-844-386-0003 or click below to get started! 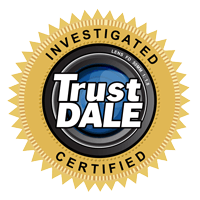 We offer free estimates in Roswell, Alpharetta, Marietta and nearby. A customer wanted to add a patio underneath with a hot tub for a seating area so requested an underdeck system be added to the deck. Also, extra project: Having a tree removed to plant pine trees there. They chose Outback Deck as they were able to offer to finance and could complete the entire project. They modified landscaping, took out trees, installed new sod and bushes for privacy, installed an underdeck system with LED lighting, put in a new concrete pad for hot tub and large paver patio underdeck and sunroom. No matter what ideas you have in mind, we'll help you design the perfect layout. If you want to transform your backyard into a relaxing space that's great for entertaining, Outback Deck Inc. are the hardscaping experts you need. 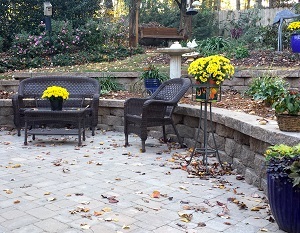 Retaining walls are an attractive and functional addition to any outdoor living space. If you have a sloped property, a retaining wall can be used to reshape your yard's natural contour to create flat areas for patios and lawns. A wall can also accent your garden, patio, outdoor kitchen or other landscaping features. We offer custom garden and retaining wall design and construction services. Patios are a popular choice among homeowners wanting to expand their outdoor living space without the maintenance of a deck. A patio can also be designed with hardscaping features, such as a stone wall, fire pit, or an outdoor kitchen. We can design and install a wide range of outdoor patio styles, including paver patios, as well as restore a damaged walkway. Available in a multitude of colors, shapes and sizes, we can use pavers to blend or distinguish landscaping elements. Whether you want a short pathway or a massive backyard patio, we can help you create a patio and outdoor living space that you'll never want to leave. Whether you’re grilling, smoking, or frying, we can create a space that's perfect for cooking and entertaining. With our expert masonry services, we can design your outdoor kitchen with a built-in grill, counters, storage and more. Hardscaping features, such as a paver patio, retaining wall, fireplace, or an outdoor pizza oven can also be incorporated into the design to create a space that is both unique and functional. Don't let warm nights or cool evenings stop you from enjoying the outdoors. For cool evenings, fire pits and chimeneas create a cozy place where family and friends can gather. Adding a fire feature also allows you to enjoy your outdoor space for more months of the year so you can get the most out of your backyard. We can design and build a custom outdoor fireplace or fit pit that creates a beautiful focal point for a patio or outdoor living area. If a hardscaping feature is what you want to complete your backyard, call the local experts at Outback Deck Inc. today! We can help you create the perfect hardscape for your needs. We offer free estimates on all our work in Marietta, Alpharetta, Roswell, Acworth, Kennesaw, Smyrna, Canton, Atlanta and throughout the surrounding areas.